Atopic dermatitis (Eczema) is usually accompanied by skin rashes, pruritus, swelling, and redness. Depending on the stage of eczema and its appearance, rashes can vary from delicate to very inflamed skin areas. As a result of eczema, the skin can become thicker, harder and dry, may start to crack and peel. 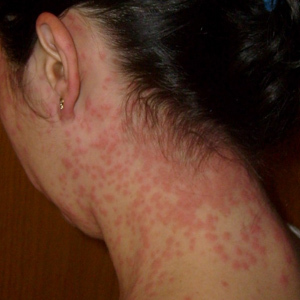 Eczema is generally characterized by acute and chronic phases. In the acute phase, swelling of the skin, redness, and formation of pimples is observed, and in the chronic phase dryness and scaling are more characteristic. The appropriate skin care is crucial for alleviating the symptoms of eczema. The purpose of lotions and creams for eczema management is to enhance the appearance of your skin and relieve it from the itching, scaling, and redness. This is why we collected the best eczema creams and lotions (pros and cons included) based on patients’ reviews and ratings. Puriya is appropriate to use for various skin conditions and seems to had helped many people in their battles with eczema, urticaria, excessively sensitive skin, rashes etc. 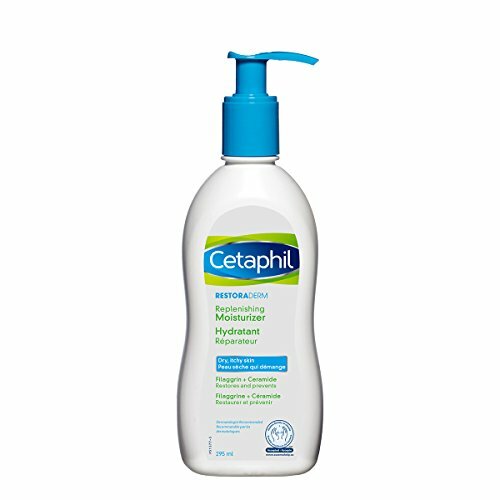 This multipurpose cream stimulates the local immunity of the skin – unlike corticosteroids that suppress it and gradually restores the disturbed barrier function, restores the water-lipid balance of the skin damaged by eczema, and stimulates the healing process, makes the skin more resistant and reduces the risk of relapse. There are many patients who attached photos before and after their treatment and the results are really impressive. I saw relief in a day and less than a week later I’m nearly completely healed. I had been using steroids (prescription Fluocinonide) that didn’t even help as quickly as this Puriya cream! 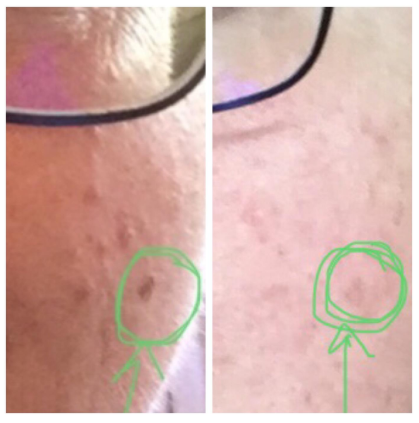 My eczema patches improved and were less itchy, and I noticed a brown patch on my face had changed. Note that Puriya is a heavy cream with a thick consistency, so a little goes a long way. The natural ingredients combined in the formula stimulate skin healing and alleviate the symptoms, associated with eczema. and below every negative comment (note that such comments are very few) the company owner offers a full refund immediately, which is very impressive given that most companies do not offer any refund. Read Puriya Cream detailed review here. 4.1 What eczema cream smells nice? 4.2 What is the formula for eczema cream? 4.3 Is an eczema cream containing steroid harmful? 4.4 Can eczema cream help acne? 4.5 What eczema cream is safe during pregnancy? All Eucerin products target the dry, irritation-prone skin. The company developed their eczema relief formula to improve the overall condition, fortify and deeply moisturize the itchy eczema skin. 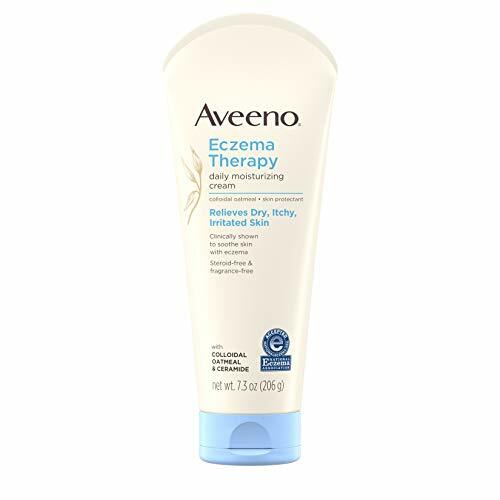 Eucerin eczema cream is appropriate for the treatment of mild to moderate atopic dermatitis flare-ups and should be applied as needed or as directed by your doctor. 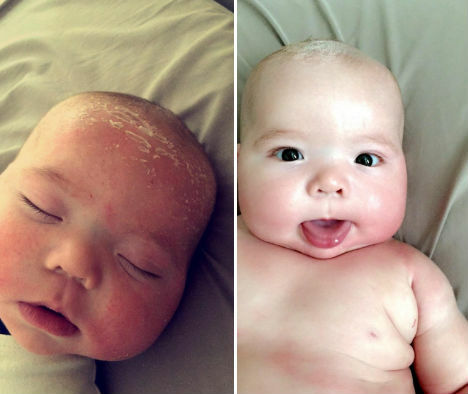 What is more, Eucerin eczema cream is also suitable for babies (3 months or older), children and older people. I have tried a ton of other over the counter lotions and this one works the best. I even use it exclusively on my face twice a day because it’s the only thing that keeps the eczema away. 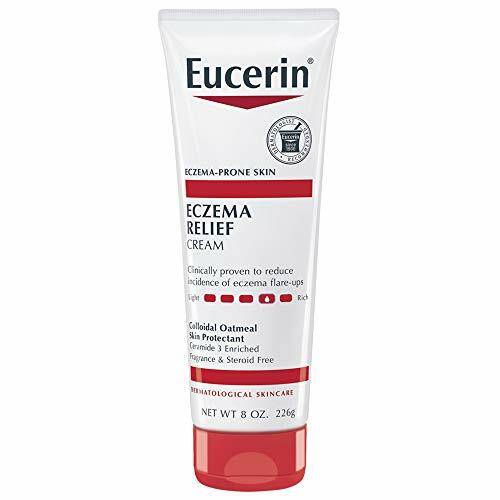 Almost 80% of all patients who shared their experience with this effective eczema cream consider Eucerin an excellent product, some even recommend it to family members and friends. Another great aspect about this formula is its’ price – you can get it for less than $7 Online, which is about 5 times less than similar eczema creams, targeting the dry, irritated skin. Neosporin is one of the few eczema creams, approved by the National Eczema Association. The formula provides a visible improvement in the eczematous skin in just 3 days of consecutive application. 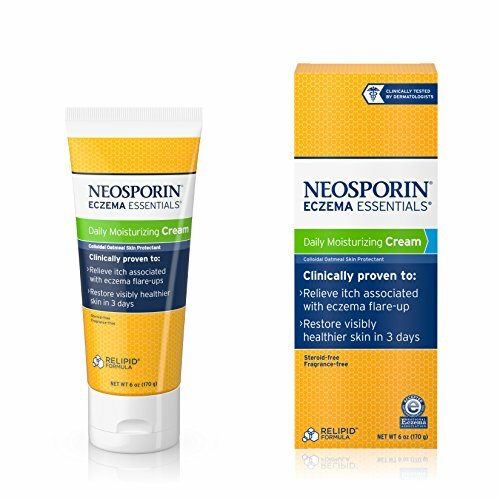 Neosporin moisturizing eczema cream is clinically proven to eliminate the common symptoms of the skin condition. 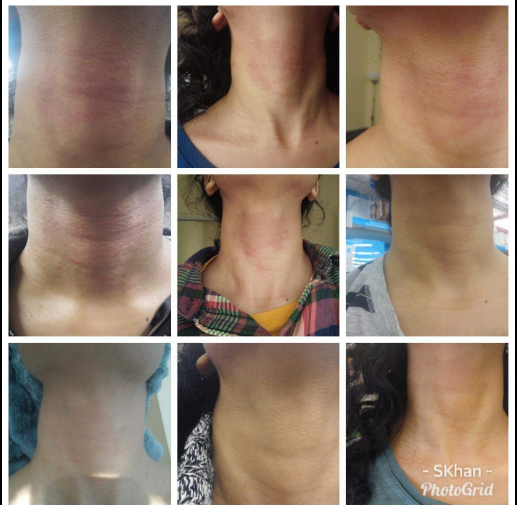 Patients, experiencing serious irritation, itching and discomfort report a visible improvement in the condition even after the initial application of the cream. Neosporin is a leading revolutionary skincare brand, available on the market since 1954, focused on providing relief for the irritated, unhealthy skin. 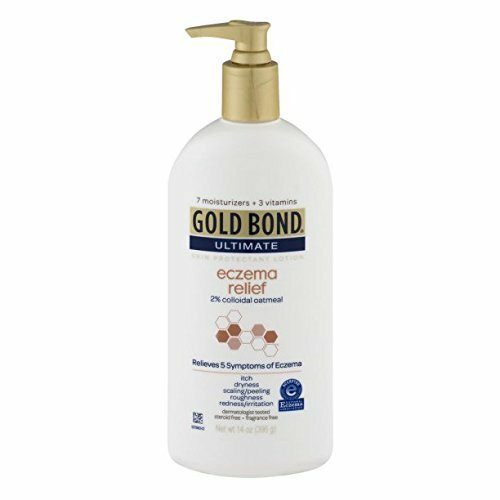 Gold Bond Ultimate Eczema relief is specially formulated for atopic dermatitis sufferers and can be safely applied to all body areas, affected by the unpleasant symptoms. This dermatologist-tested eczema lotion is both steroid and fragrance-free. It contains 2% colloidal oatmeal, which makes it an even more effective skin hydrating cream (most products for eczema management usually provide only 1% colloidal oatmeal). 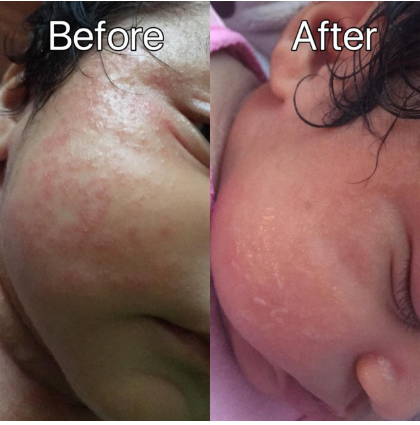 The Gold Bond eczema lotion has a good reputation among patients, most of those who left a review are pleasantly surprised by the results obtained. 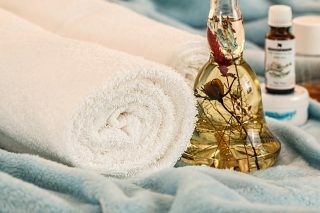 According to the comments, Gold Bond eczema lotion keeps the flare-ups away as long as you regularly apply the product. 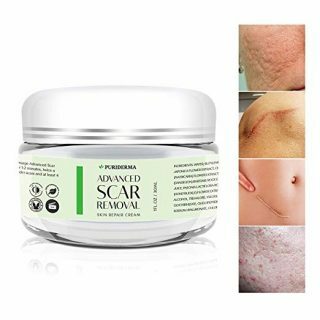 Good news is that there are a couple of comments, posted by patients with very severe atopic dermatitis symptoms and this cream managed to meet their expectations by successfully reducing the itching, swelling, dryness, peeling, and irritation. People with cracked, easily bleeding skin experienced very positive results after treating the affected areas with Gold Bond Eczema Cream. 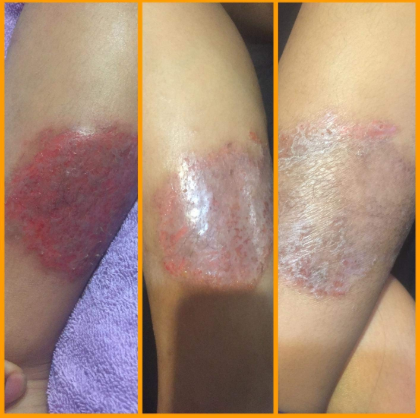 Products developed to relieve itching, dry and irritated skin with such a positive reputation can be rarely found on the Web. The truth is that more than 90% of the patients, who tried this formula, shared their positive experience with Peterson’s Ointment. The product has been used for decades, you can even see pictures from the National Museum of American History from ca 1925. I have been using this product for over 40 years. It was grandma’s go to for all her first aid needs and I inherited her love for it. The effective eczema cream combines very few ingredients, aiming to provide instant relief and reduce the discomfort, following eczema, excessively dry skin, seborrhea, psoriasis, and others. The combination of Camphor 3% and zinc oxide 6,6% is proven to successfully reduce the itching, associated with eczema, while promotes the healing processes and soothes the irritated skin. This unique formula is suitable for the treatment of multiple skin conditions, requiring rapid healing and regeneration of the skin cells. Unfortunately, the formula can be rarely found in pharmacies or stores but it can still be found Online. 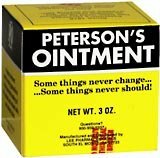 Read Peterson’s Ointment detailed analysis. 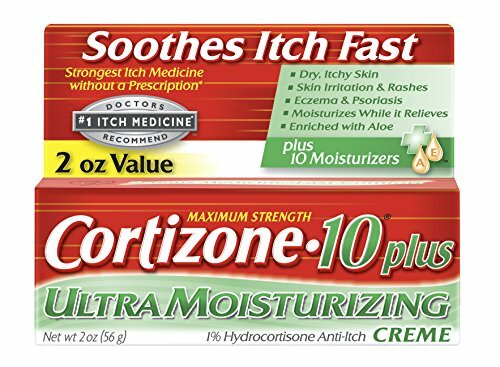 If you experience severe eczema symptoms, cannot handle the itching and discomfort, associated with the condition of your skin, Cortizone-10 Plus, might be the most suitable option for you. This 1% Hydrocortisone treatment is clinically proven to temporarily alleviate the discomfort, inflammations, and rashes. The effect of this topical cortisone treatment can be experienced immediately after the initial application. This odorless cream has a has a very light consistency and is easily absorbed by the skin. The price is very affordable, compared to most eczema treatment options on the market. this eczema cream in over 10 years. Any red patchy, dry, red or itchy skin, this is the cure. I bought this and the relief I felt was IMMEDIATE. Like a miracle! I just had another flare up yesterday and put some on. Here are pictures that were taken just one day apart. Applied limberly to a patch of psoriasis. I like the consistency of the product. Many patients say that it can be applied to the facial area and will not cause pore clogging. The formula has an excellent rating as well as positive reviews, informing that it absorbs well while softening the skin. I ordered this and nearly instantly felt and saw results. These two pictures are LESS THAN 24 HOURS APART. Tried it yesterday (also used Destin Diaper Rash) and it works amazing , just this morning i can see a big diffrence although it hasn’t completely healed the results are kicking in! A friend recommended this and it has helped a lot even in just one week. It isn’t totally gone but it helps tame it. A disturbing inconvenience about this product is the „long-lasting, thick, pasty feel”, some patients don’t want to use creams with a thick consistency, especially if they intend to apply it to the facial area or intend to cover with makeup products. Almost 80%of all 1300 reviews are really positive, atopic dermatitis sufferers are very satisfied with this potent eczema cream, many people have attached before and after photos, which show great improvement. 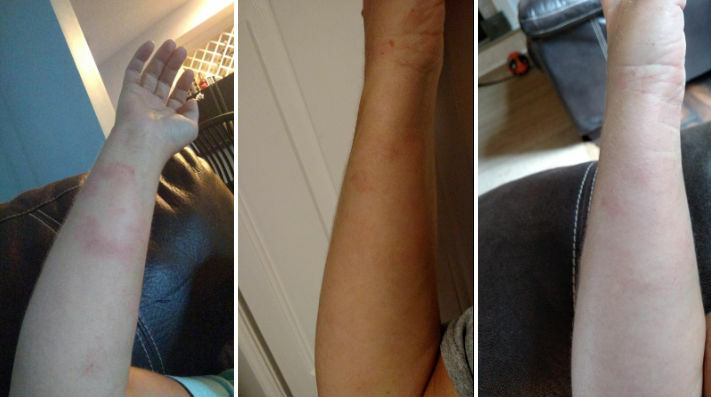 My son has had baby eczema since he was born. It had progressively gotten worse until he started bleeding,peeling, and oozing. 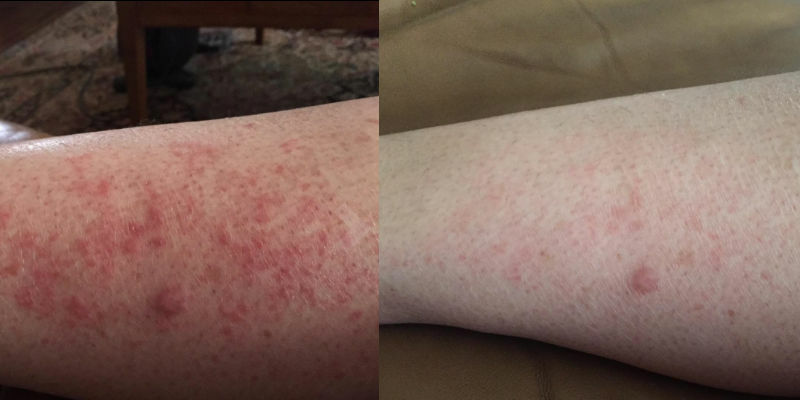 I started noticing a difference after the first week with less itching and flaking….I was hopeful. After 2 weeks all the itching was gone, flaking was almost gone and I was over the moon, what a relief. When seeking for the most appropriate eczema creams, you should carefully check the ingredients: pay attention to the number and the type of moisturizing agents and try to avoid any potential irritants. Note that your body skin is different from the one, covering your hands. The body skin needs easily applicable products with deep moisturizing properties, which will provide the protection needed. The most effective eczema creams listed above are specially formulated for the needs of the body skin. The facial skin is very fragile. It often feels rough and tight, even reddened, scaly and itchy, especially if eczema is present. However, the ingredients that are suitable for the needs of your body skin, may not be the most appropriate option for your sensitive face. 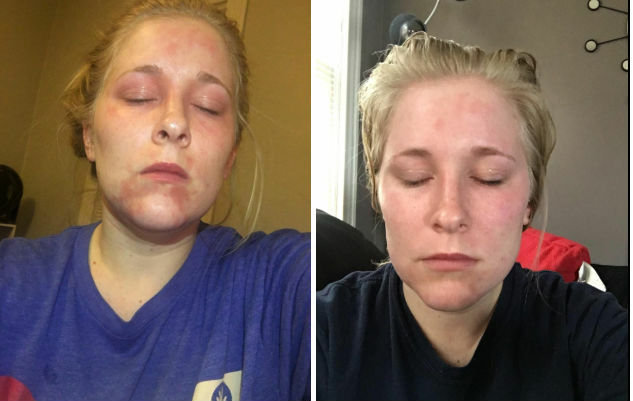 This is why the choice of an eczema cream for the face should be really precise and you should not make a single compromise with the product chosen. Always rely on hypoallergenic formulas avoid potential irritants (parabens, steroids, alcohol, toxic compounds, petroleum), as they may worsen the condition of your facial skin. Never forget that the eczema cream you are looking for should be specially designed for the delicate skin of the face, try to choose a formula, providing high-performance components which will have both moisturizing and protective effect on your skin. The skin barrier is crucial for your overall skin’ health. If this barrier functions properly, it provides optimal moisture levels to keep the cells, forming the stratum corneum hydrated and alive. This is how your skin is able to attract, hold and redistribute the moisture needed. In the presence of eczema, however, this function of the skin is disrupted and the skin barrier is not performing optimally – it cannot keep the moisture needed to prevent dehydration of the skin cells. This makes it vulnerable to infection and irritation (including itching and swelling). Providing the hydration needed will help you avoid suffering from the above-mentioned symptoms of eczema. Just like with any other eczema products, moisturizerizing creams for eczema sufferers should non-irritating emollients and should be suitable for the most sensitive skin types. What eczema cream smells nice? 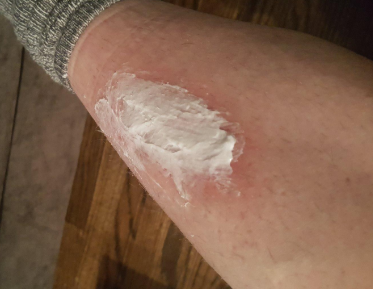 Unfortunately, the nice smell of a particular eczema cream is not the most appropriate option for those, suffering atopic dermatitis. This is due to the fact that fragrant agents are often irritating to the skin, some may even provoke severe skin reactions. What is more, those products, which are marked as 100% natural usually have a rather unpleasant smell. What is the formula for eczema cream? Since eczema is a skin condition, related to excessive irritation, itchy sensation, and swelling, the purpose of eczema creams and lotions is to soothe the skin and reduce the discomfort. This is why anti-eczema products are developed to minimize the risks of potential skin reactions while providing strong healing and moisturizing properties. 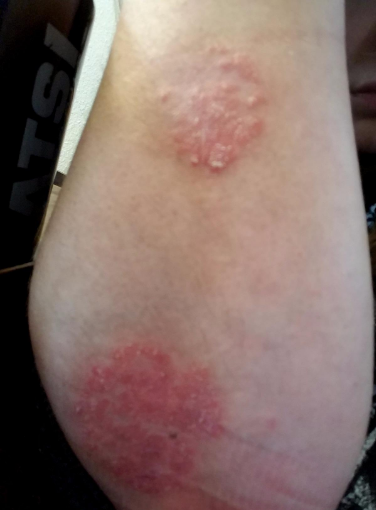 Is an eczema cream containing steroid harmful? Steroid creams aim to reduce the inflammation and clear up the eczema flare-up. Such topical medications are very potent, provide with immediate results but cannot be used for prolonged periods of time. A topical corticosteroid treatment course usually lasts 7-14 days, according to the severity of the eczema symptoms. Such treatment should be discontinued as soon as the flare-up is completely gone. The corticosteroid creams are not harmful, on the contrary, this is one of the most effective eczema treatment methods available so far. However, such creams are not intended for a prolonged application. Note that after the eczema symptoms are completely gone, you should keep applying moisturizing agents to prevent further flare-ups. Can eczema cream help acne? Depending on the severity of your condition, you can apply topical creams, ointments and lotions for eczema treatment, as they are hypoallergenic. Additionally, eczema creams target the inflammation, they reduce the redness and discomfort, associated with eczema and will provide a soothing effect for the acne-prone skin as well. What eczema cream is safe during pregnancy? We recommend using natural soothing skin creams if you are currently pregnant. Try using Beeswax, Manuka Honey or Calendula Oil. If natural eczema, treatment methods do not provide the effect needed, you should consult a dermatologist, so he or she will be able to prescribe a corticosteroid treatment to alleviate the symptoms of eczema. It is very important to avoid chemically-derived or fragrant ingredients! Colloidal oatmeal: history, chemistry, and clinical properties. The best-selling over the counter products for eczema treatment (pros and cons included) based on customer reviews and rating. 5.1 What eczema cream smells nice? 5.2 What is the formula for eczema cream? 5.3 Is an eczema cream containing steroid harmful? 5.4 Can eczema cream help acne? 5.5 What eczema cream is safe during pregnancy?